Great Barrington was ranked #1 in the Smithsonian's "10 Best Small Towns in America" in 2012. According to Wikipedia "
Great Barrington today is a vibrant small town acting as the hub for "South County". The town and its surroundings support a year-round population as well as second homes. Great Barrington is home to over 55 restaurants catering to a wide spectrum. The recently renovated Mahaiwe Theater has become a center for year-round music and cultural events." 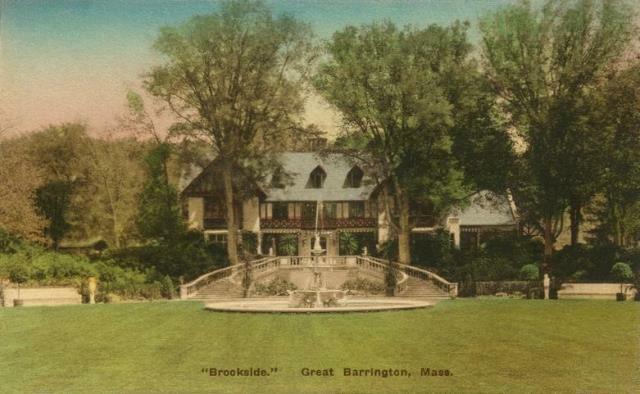 To learn about the history of Great Barrington visit the website of the Great Barrington Historical Society here. Apple iPhone Apps store offers a great app for touring the Berkshires and all of Massachusetts. The app is called "Massachusetts-at-hand" . Use your smart phone to find places to stay in Great Barrington, events in Great Barrington and restaurants in Great Barrington.